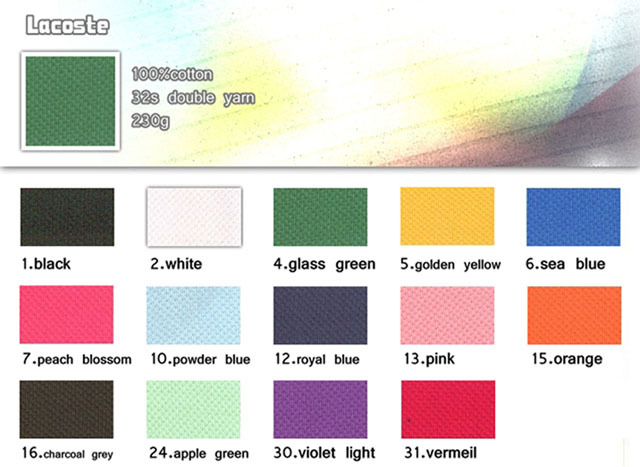 The above color swatch is for on screen viewing reference which may appear different from actual color swatch, pls. contact iGift or visit our company to check out the actual color. As a uniform supplier, iGift specializes in different uniform making like staff polo-shirt, courier company polo-shirt uniform, customized polo-shirt for special promotional events, and activities. 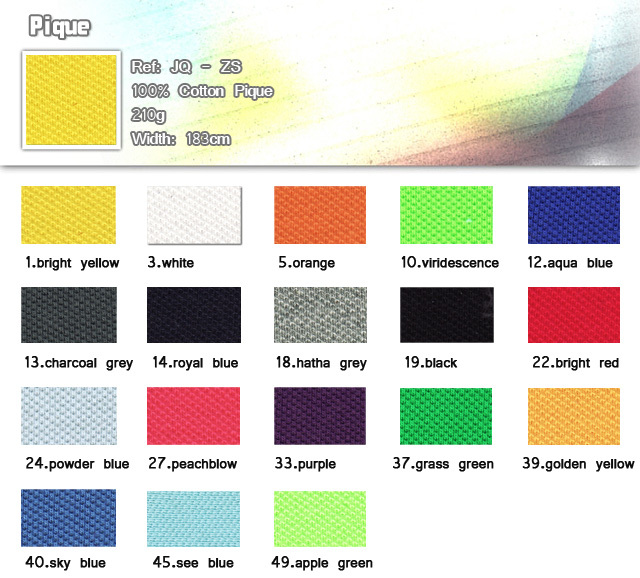 We have functional fabric like dry-fit mesh which is suitable for making outdoor polo-uniform which will drift sweat away and keep the body dry. 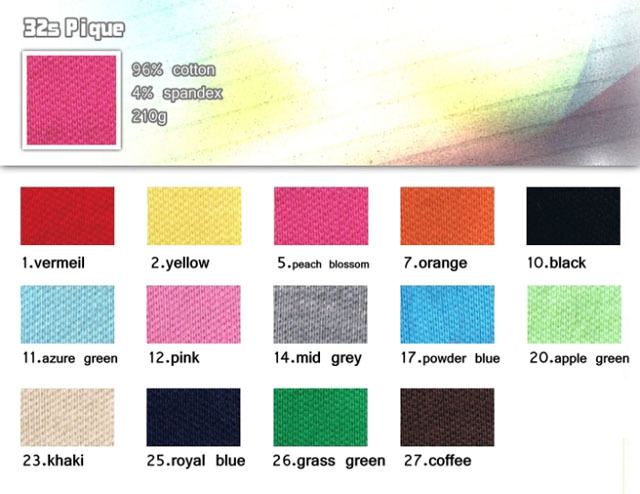 In terms of quality and washing resistant, we also have stable control over our fabric, together with vertical integrated embroidery production, we can customized your logo and requirements, to give the unique merchandise. 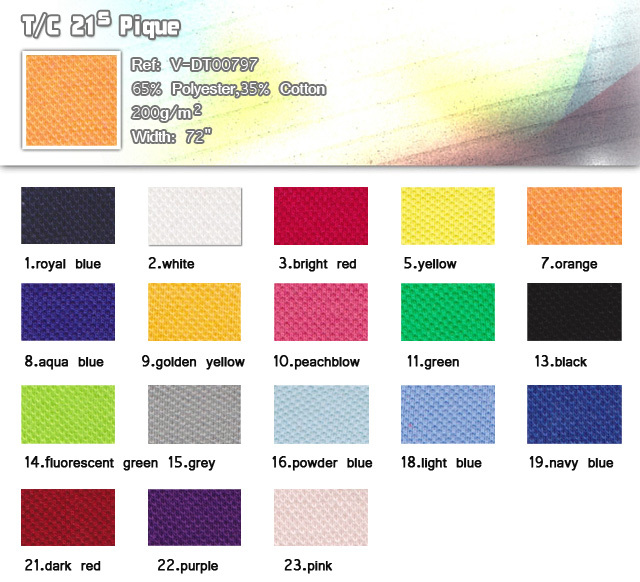 Different printing (computer digital printing, silk screen printing, heat transfer printing) are also available.